Anyone that still remember the now-defunct Vine probably realizes that creating “artificial” limitations for your own work can lead to some interesting and surprisingly fresh results. While most things on a site that only allows 6 second-long videos will obviously be trash or bland iterations of overused memes, some authors were able to create brilliant gags against all odds, delivering content that would not appear in any other circumstances. While definitely not as extreme, 4-Koma manga is a formula creates a bit of a similar effect, forcing a focus on rather short episodic stories/gags and making writers get straight to the point, without any place for unnecessary fluff and slow exposition. While it allows for fairly complex storytelling (as for example in New Game! manga and its anime adaptation), it always delivers the plot and builds the characters through action, rather than long dialogues or retrospection. Adapting such manga into anime might be problematic, as with its usually very short and episodic nature it doesn’t easily translate into a standard 24-minute formula. Compiling multiple, often barely connected gags or scenes into one episode might create a confusing, disjointed experience while delivering only one story per episode would result in another 3-4-minute micro series that many viewers are not so fond of. 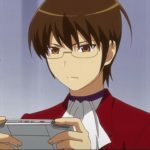 In this season, however, we’re being presented with two 4-Koma adaptation that seemingly managed to both captures the spirit and pacing of the source material, and fit it successfully into cozy, 12-minute format. Those series are Aho Girl and Tsurezure Children. Aho Girl is close to what you would typically expect from a 4-Koma – above all it’s a crazy gag comedy, full of over-the-top humor and amusing references to other manga/anime. While it starts somewhat slow and might feel obnoxious at first, behind its apparent stupidity and absurdity there’s a lot of brilliantly written gags and well-crafted characters. Those are complemented by good animation, memorable theme song and especially the phenomenal voice acting, with veterans Aoi Yuuki (Magical Girl Madoka) and Tomokazu Sugita (Gintama) in main roles and a supporting cast that never falls far behind when it goes to delivering their lines. After using the first two, somewhat slow episodes to introduce the characters, Aho Girl becomes a wild ride, often borderline distasteful, but consistently unpredictable and funny. It relies on slapstick comedy a lot, which resulted in an early backlash for supposedly endorsing “violence against women”, but the absurd, unrealistic tone of the story doesn’t allow for anything in it to be taken literally. While the central character, Yoshiko, and the kind of humor she brings will not be to everyone’s liking, it’s important to not judge this series by the first impressions. It doesn’t show its potential instantly, but later in the season it really rewards the patience with an experience that is really hard to compare to any other productions on the market. If over-the-top insanity is not your kind of entertainment, maybe romantic comedy is? I myself could’ve instinctively say “no”, but Tsurezure Children proved me wrong on many levels. This unassuming series, with simple art and very straightforward premise, shows up to four short scenes of high-school romance in every episode. Usually, every segment is following a different couple, trying to communicate their feelings to each other and struggling with awkwardness and misunderstandings typical for teenagers. Of course, such basic description, while generally accurate, does little to communicate the joy of watching this series. 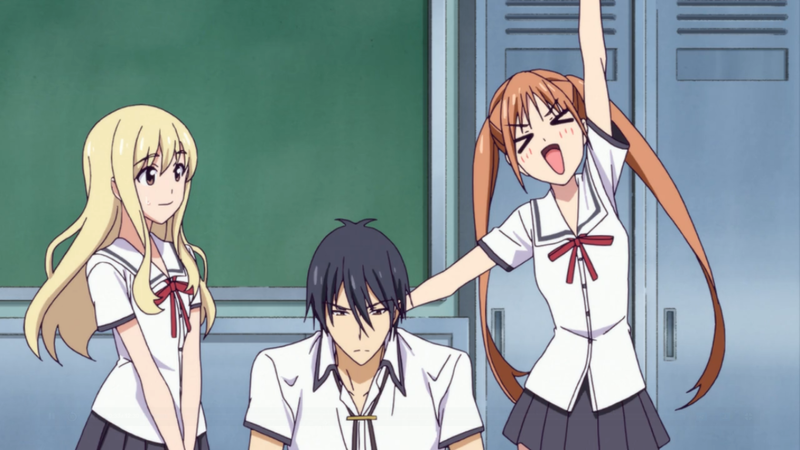 What could’ve been a run-of-the-mill rom-com, here becomes something truly exceptional thanks to consistently strong writing and (just like with Aho Girl) excellent voicing cast. Nearly every piece of dialogue and every interaction between characters is either funny or touching in some way, making each and every episode memorable and compelling. With every couple receiving similar amount of screen time, the series has a dozen of “main characters”, but none of them feel badly developed or unnecessary. 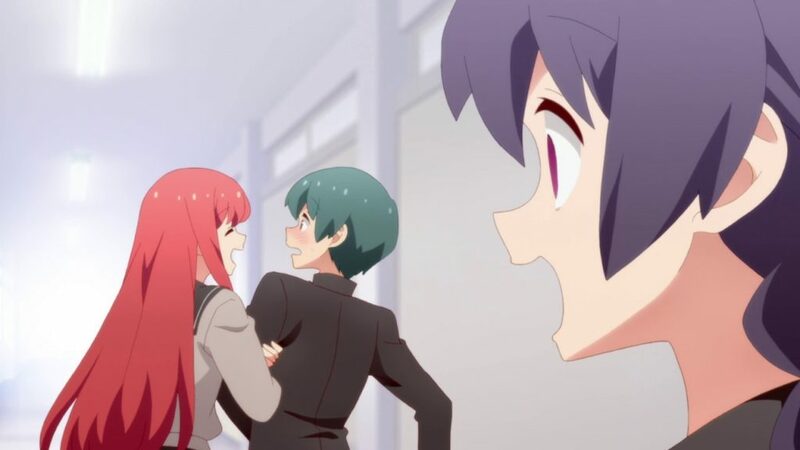 Tsurezure Children excels in making you feel attached to them and wanting them to succeed – something that shouldn’t be even possible for such a short series. While liking Aho Girl might be an acquired taste, this show is simply a great, feel-good anime that should satisfy even those who would normally avoid its genre completely. So, do you have 12 minutes to spare? Try watching an episode of Aho Girl or Tsurezure Children. I can pretty much promise, you won’t be disappointed.